Melody is a longtime reader whose Etsy fabric shop sponsors this bloggy space. 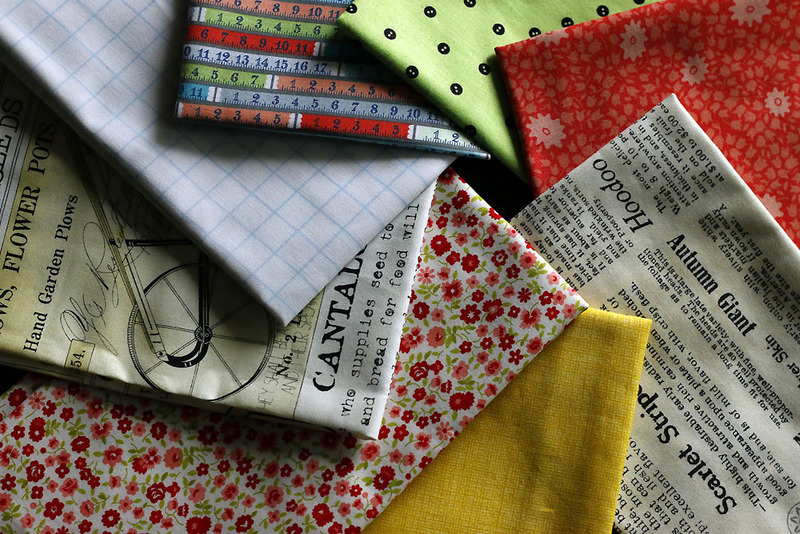 The Red Hen Shop offers generous cuts and will send free fabric swatches. She's so sweet! This month I've created a custom bundle for her shop with a bit of an autumn flavor. Apple reds, golden leaf yellows and hints of green and blue, remind me of the wide sky at our favorite apple orchard. Everything feels clean and crisp and achingly beautiful. The saturated shades of autumn are close to my heart! 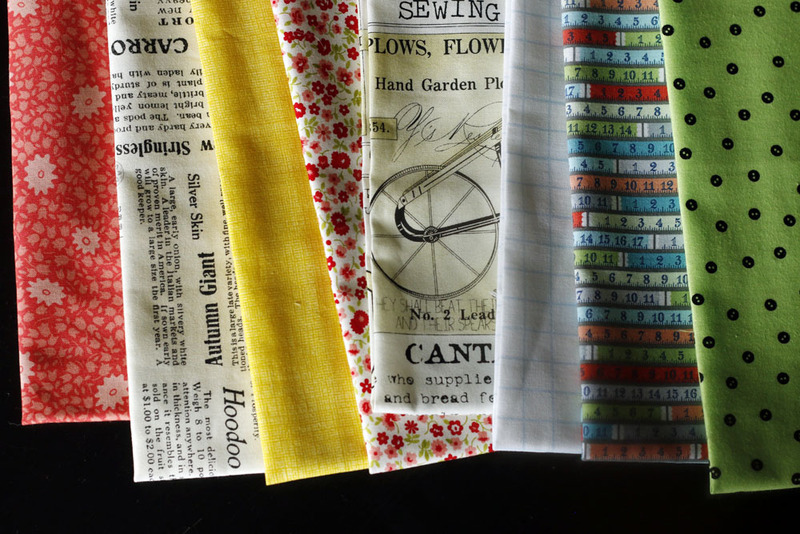 My bundle began with that charming multicolor ruler print called Sewing Room and the two vintage-inspired farm prints, Farm to Table and Sewing Seeds. I added helpful fabrics in colors pulled from the ruler print, choosing simple motifs that wouldn't overwhelm the inspiration fabrics. 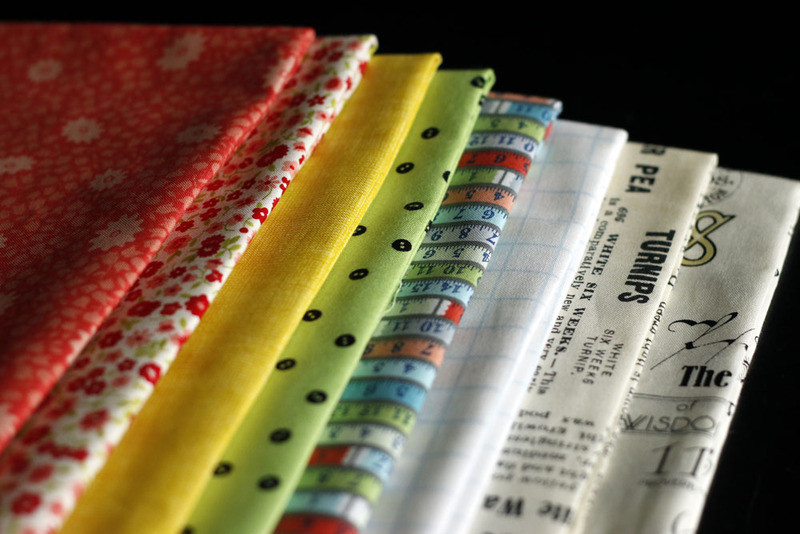 This fat quarter bundle is available in limited quantities at The Red Hen Shop now! You can also enter to win it now through Wednesday at noon (eastern time) with your comment on this post. Don't forget to provide an email address so that I can reach you if you win. Open to readers throughout the world! Giveaway Closed. The lucky winner is Suellen. I'll be in touch via email!